If you’re interested in a career in healthcare but don’t have years of medical experience or clinical training, there’s an easy way to get your foot in the door: a degree in medical billing. With a degree in medical billing, you can jumpstart your career in healthcare. And today’s online degree programs make it easy to earn your degree in a few months. Here’s why you should consider getting a medical billing degree online. Medical billing is the perfect field for anyone who’s looking to enter the healthcare industry. It’s easy to get started, and as you build experience and grow your skills, you’ll be able to take on increasingly exciting opportunities. When you hold a degree in medical billing, you’ll discover just how many perks there are to this unique job field. Considering how little training is required, you’ll start earning a solid salary as a medical billing technician. According to the U.S. Bureau of Labor Statistics (BLS)¹, medical records and health information technicians (another name for medical billing technicians) earned a median salary of $39,180 in 2017. With a medical billing degree, you’ll never have to worry about finding work. The BLS² reports that the field is expected to grow by 13 percent through 2026, bringing the total number of jobs to approximately 234,000. As the U.S. population continues to age and people continue to live longer, demand for the services offered by qualified medical billing technicians will rise even more. Want to work in healthcare but don’t want to work crazy hours like a doctor or nurse? Earning an online degree in medical billing is the solution. Medical billing specialists are often able to work flexible hours or on a part-time basis if they’d like. You’ll get to enjoy a lot more flexibility — and have a better work-life balance — than other medical professionals. Like many people, you may be drawn to the field of medicine but at the same time be squeamish about working with patients or performing medical procedures. No clinical work is required with medical billing and coding, and that applies not just to the work itself but to training as well. You’ll never have to watch a procedure or perform a single medical task. Finally, while most careers in healthcare require years of education, training, and credentialing, starting a career as a medical billing specialist is as simple as completing an accredited training program. Although you may have more options by earning an associate degree, completing an online diploma or certificate program can be done in as little as three months — and there’s no need to sit for a licensing exam. In years past, anyone interested in becoming a medical billing technician had to seek out community colleges and vocational schools offering such training and attend classes in person. While on-campus diploma, certification, and degree programs are still available, most are now offered as online programs that can be completed even more quickly and easily. If you’re ready to earn your medical billing degree or diploma, you only need a few months. An online medical billing diploma program takes between three to six months to complete according to Medical Billing & Coding Certification³. 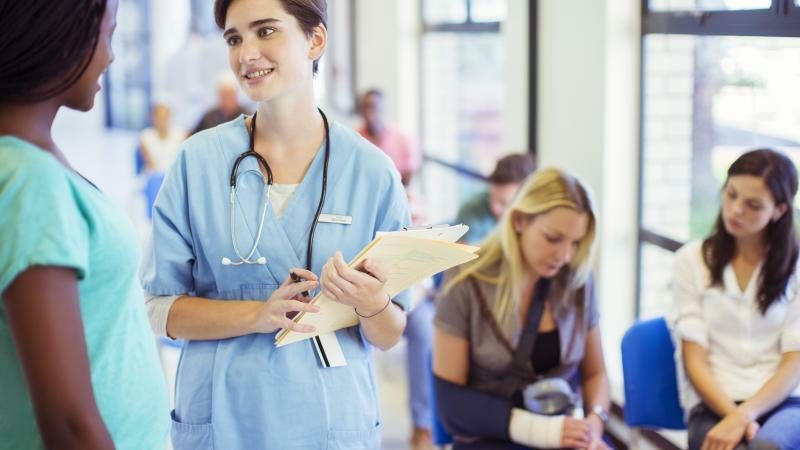 Once you’ve completed the basic coursework to become a medical billing specialist, if you’d like to further your education you can also choose to earn an associate degree, which typically takes two years, or a bachelor’s degree that takes a full four years. Although it isn’t required by most employers, you can also obtain certification from a reputable industry organization like the American Academy of Professional Coders (AAPC) or the American Health and Information Management Association (AHIMA). After gaining some work experience, you’ll be eligible to sit for the Certified Coding Specialist exam, which gives you the chance to earn hospital-based or physician-based certification. Earning an online degree in medical billing and coding opens up many career paths. The AAPC⁴ reports that the medical billing and coding field currently employs more than around 206,000 people in the United States; that figure is expected to rise by 27,800 by 2026, meaning medical billing technicians will remain in high demand for the foreseeable future. Medical Transcriptionist: Medical transcriptionists work to transcribe doctors’ notes and orders electronically or by hand. Medical Assistant: If you want to work in patient care, your online degree in medical billing can be the first step toward becoming a medical assistant. To work as a medical assistant, you’ll need to complete a training program that includes labs and clinical experiences. Dental Assistant: Dental assistants schedule appointments, provide patient care, and even handle various aspects of recordkeeping. You’ll just need a year of additional training to get started. Pharmacy Technician: Many who start out in medical billing move into pharmaceutical careers. As an entry-level position, pharmacy technician is a good role to pursue. Medical and Health Services Manager: These professionals plan, direct, and coordinate medical services in many different settings. Earning an online degree in medical billing could be the first step in a career of continual advancements. Eventually, you might even want to move into an administrative or managerial role – or you may even want to change focus and begin working with patients. No matter your future goals, an online medical billing degree is the first step to take. It’ll introduce you to the healthcare industry, help you build experience, and teach you the necessary skills you’ll need to advance and progress. To become a medical billing and coding technician, you’ll need to earn your diploma, certificate or degree. And online programs offer the most flexibility. Therefore, start the process by looking for online programs that offer the degrees or diplomas you want. An online search will let you compare your options and select a program that gives you the flexibility you need. Before you know it, you’ll be applying for medical billing jobs. If you’re interested in earning an online medical billing degree, start a search today.